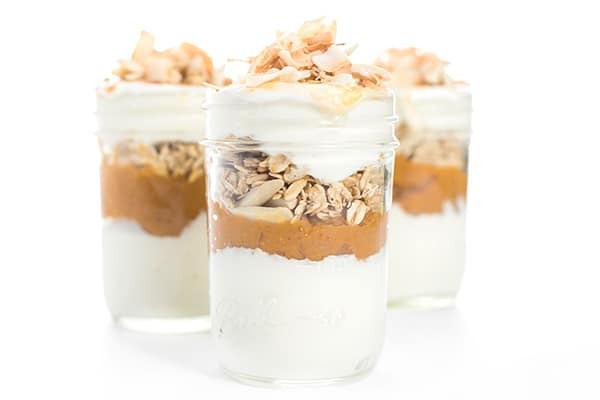 These thick and creamy pumpkin pie parfaits are filled with vanilla Greek yogurt, crunchy granola and creamy pure pumpkin. A perfect make-ahead breakfast, snack or dessert recipe! 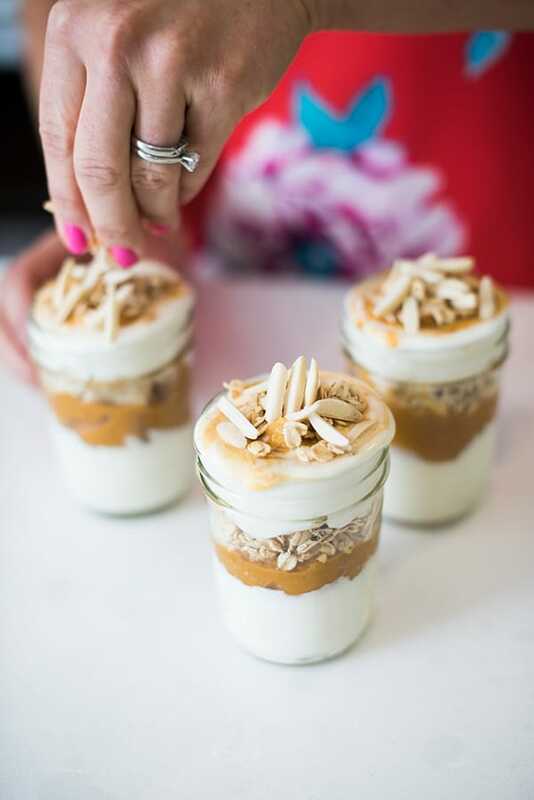 Pumpkin season is upon us and I’m celebrating with a quick and easy make-ahead recipe: Pumpkin Pie Greek Yogurt Parfaits! 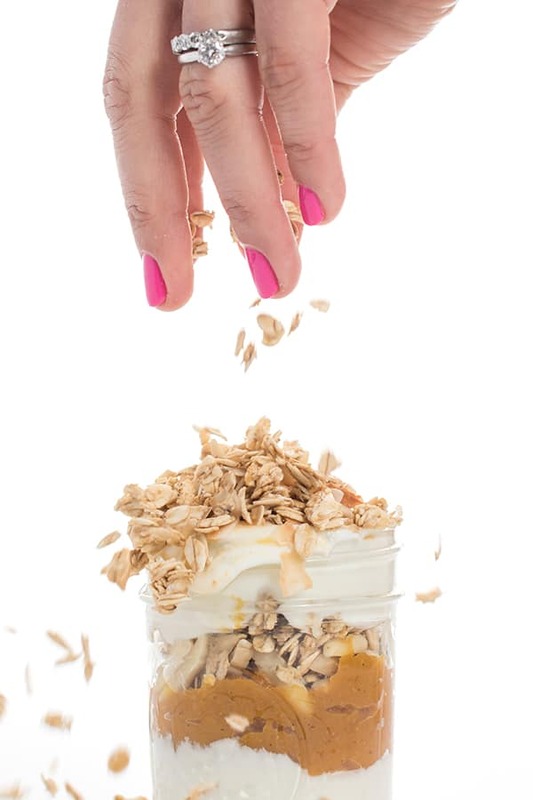 Protein-packed vanilla Greek yogurt is layered with creamy, cinnamon-scented pure pumpkin, crunchy granola, blanched almonds and toasted coconut flakes. 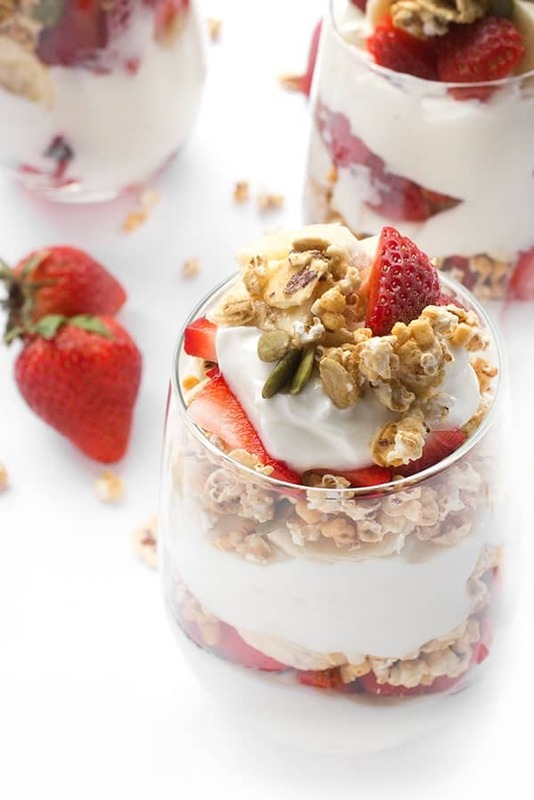 Ideal for prepping ahead of time, these parfaits will last in the refrigerator stored in an air-tight container for up to three days. Grab one in the morning for a quick breakfast on-the-go or enjoy one after dinner for a healthy dessert. 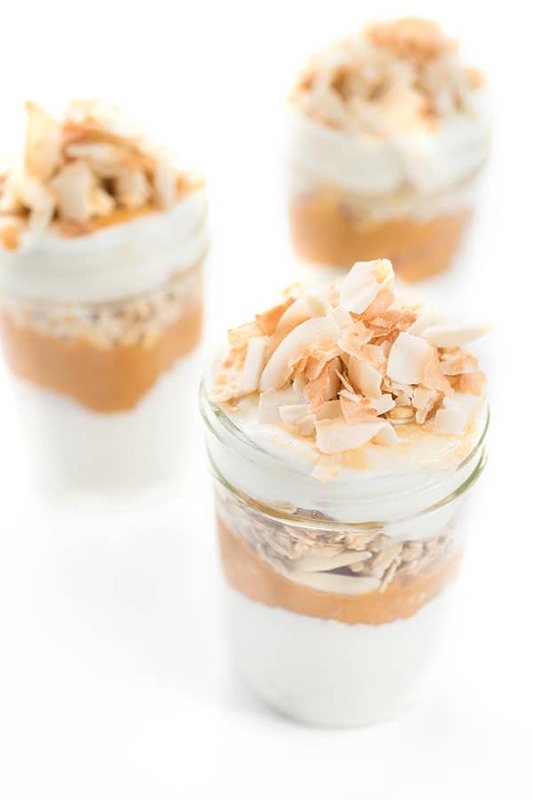 These thick and creamy pumpkin pie parfaits are filled with vanilla Greek yogurt, crunchy granola and creamy pure pumpkin. 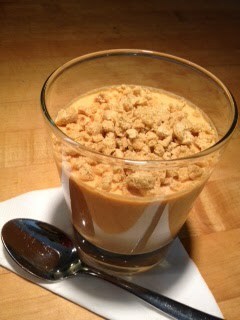 In a small bowl, whisk together pure pumpkin with pumpkin pie spice. 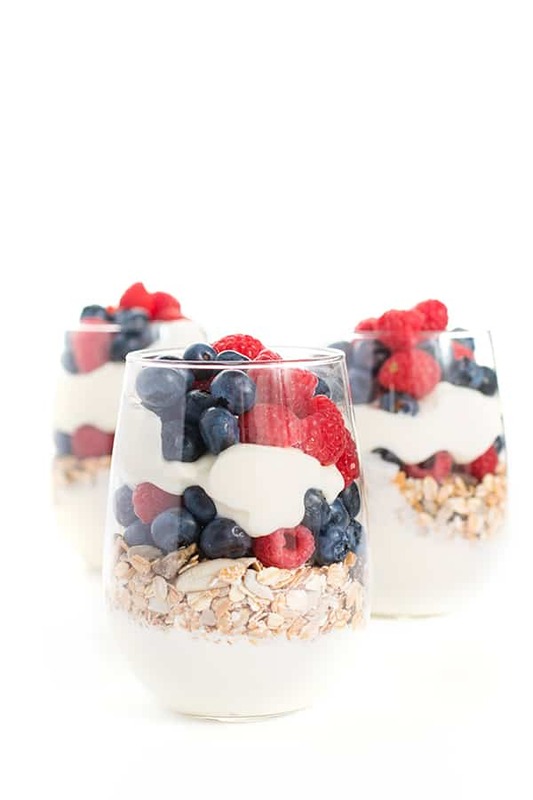 Place 1/4 cup yogurt at the bottom of four glass jars (or glasses of choice.) 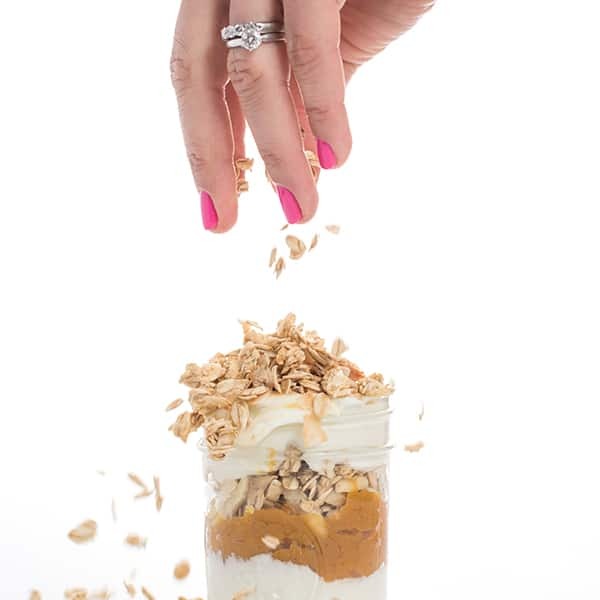 Top each with 1/4 cup pumpkin mixture, 1 tablespoon almonds, 1/4 cup granola and remaining 1/4 cup yogurt. Sprinkle each with toasted coconut flakes to serve. Can be stored in the refrigerator for up to 3 days when sealed with plastic wrap or in an air-tight glass container. 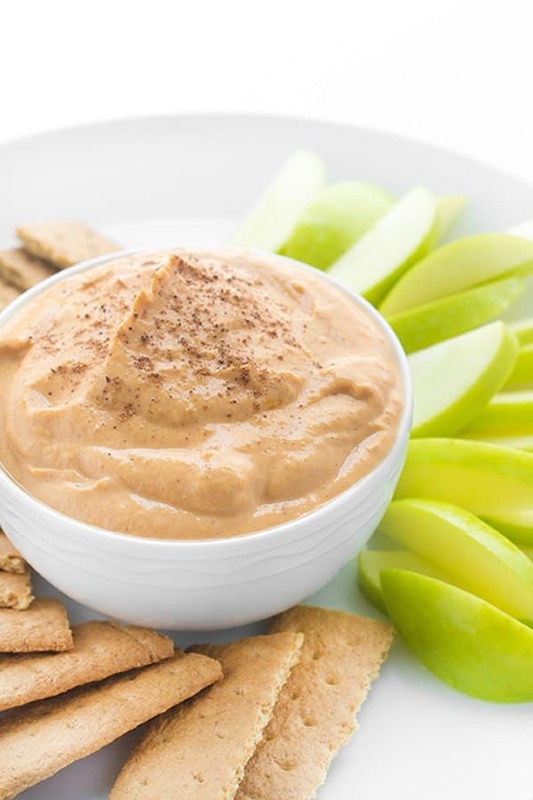 Need more delicious snack inspiration?? Head over to my Pinterest Board for more ideas like this!